Safet Zec (Rogatica, Bosnia Herzegovina, 1943) is one of the most significant individuals involved in the artistic research of our times. His work, uninterrupted since his first pieces in Sarajevo at the end of the fifties, is documented in the exhibition of 71 works which encompass all media and instruments of painting, etching and drawing. It is a miner’s work. It goes down into deep layers to extract the matter which gives life to shapes. It comes back up and brings it to the surface, to the light. It thus helps us ask ourselves what the pieces of the world around us are made of — and what we ourselves are made of. His biography, marked by the geographic contexts, historical chasms, the radical cultural changes of the second half of the Twentieth century, found his life trade in artistic labour, and industrious solitude provides the unbroken thread that makes the reasons for artistic research and those for civil strife — enveloped as they are in the same sorrowful and reserved events —undistinguishable. Although his work is now supported by critical literature, distinguished by the accolades by Jorge Semprún (Hacer tiempo, 2006), and backed by a broad range of exhibitions around the globe, he is still far from being adequately known and recognised. The reasons behind an initiative to help disseminate Safet Zec’s work are found precisely in the crossroads of the specific tasks of a research centre, between spreading knowledge and in-depth study. From a cultural point of view, although it should not be forgotten that the first Italian exhibitions were indeed organised in this area (Udine 1993, Conegliano 1994), the Treviso initiative appears to be “necessary”. From the point of view of research, the variety and chronological breadth of the works on show offer an invaluable opportunity to try and improve one’s understanding of what contribution may be provided through a painting to a study of places, of all places, in the endless variety and unstoppable metamorphosis of their physiognomic features and individual characters. In the unrelenting excavation that this master carries out with his painting, etching and drawing tools onto and into all the subjects falling within his gaze, from a spoon to a mountain, from a shoelace to the crown of a large tree, beyond the subject’s various sizes and postures, the outcome always reveals a new fragment of the relationship between form and life. And each time, as is the case with music, it catches us unaware, taking us “there, where we had never been”. Objects, people, trees and places are the four main shafts of Safet Zec’s mine; the four eternal torments of artistic research, those that made Michelangelo, Velázquez, Vermeer, Bacon and others great, with Rembrandt on top, the figures he looks up to with admiration so deep as to also enclose, with the pathos of knowledge, the apprentice’s thieving eye, and even the thrill of a challenge. After the introductory works, these four centres occupy the same number of exhibition areas that the sequence is built on. Objects. The things of everyday life. The surrounding world takes on meaning. Items and tools or ordinary time and space reappear under a new, probing and surprising light. The painter’s trade reassesses the value of every object around us, and helps us do the same. People. The infinite postures, expressions, dimensions of the human body, the hands first and foremost, the limbs, faces, and the most diverse details, whether fingernails or tears, arranged in unusual compositions to reveal unexpected meanings. Trees. The darkness and transparencies that may be achieved through painting, and even more so by etching, tackle the plant world, the crown of a majestic tree, the inevitable presence of flowers and fruit on the table of a home, on the windowsill overlooking a garden. Places. The patient accumulation of layers, from the first neutral backgrounds to glued paper, which are then attacked by paintbrushes, points, pencils, the slow processing and juxtaposition of endless marks, in other words the miner’s descents and ascents through the mine’s shafts and tunnels, appear particularly legible when they tackle nature, memory, the form-life of places. 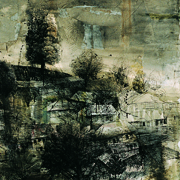 The final area displays works depicting houses, hamlets, villages captured in their varying “spiritual tones”, through the changing seasons, in different conditions of daylight, in the diverse frames of mind of the one conversing with them (portrait of the artist’s mother at the window). The exhibition therefore represents the marked continuity with the cultural, scientific and civil focus on Osmače and Brežani, the Bosnian villages of the “return to the land” on the plateau above Srebrenica, where the International Carlo Scarpa Garden Prize took us this year. Hence, the reasons and sentiments with which Safet Zec and all of us dedicate this initiative to the figure of Alexander Langer appear even more understandable. 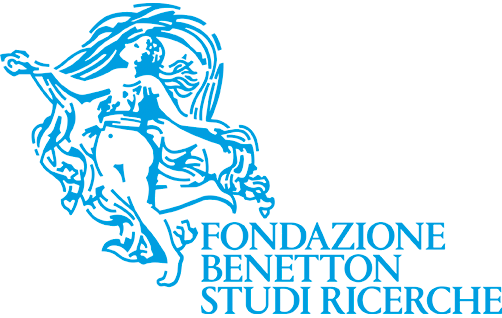 a cura di Domenico Luciani, organizzata dalla Fondazione Benetton Studi Ricerche nel quadro della campagna culturale per i villaggi di Osmače e Brežani, Premio Internazionale Carlo Scarpa per il Giardino 2014. L’iniziativa è dedicata ad Alexander Langer. visite di gruppo per le scuole, ingresso 2 euro.